Besides taste, mention largest size fruits, smallest sized bushes, least disease prone, most beautful when loaded, or any other qualities for us to consider. In my opinion, and after reading many comparisons, Poorman and Hinomaki Red are the best dessert quality gooseberries, with Hinomaki White and Black Velvet being notable mentions. I grow them in an area where they get a few hours of sun a day and that seems to be plenty for them to produce well. Most currants are cold zone plants. I would look to the native types like Golden currant. Ones that will work in your area. The best producers and largest berries are from the Netherlands. None would probably work in your area. They would need shade in your area, maybe look at some of the English currants as they are always wet and damp, and about the same zone. above 85f they stress and wilt heavily. luckily most years i can count on 1 hand how many 80+ days we get in a summer. currants grow like weeds here. unfourtunitly black currants (Ribes nigrum) are illegal to grow here as they are hosts to WPBR. 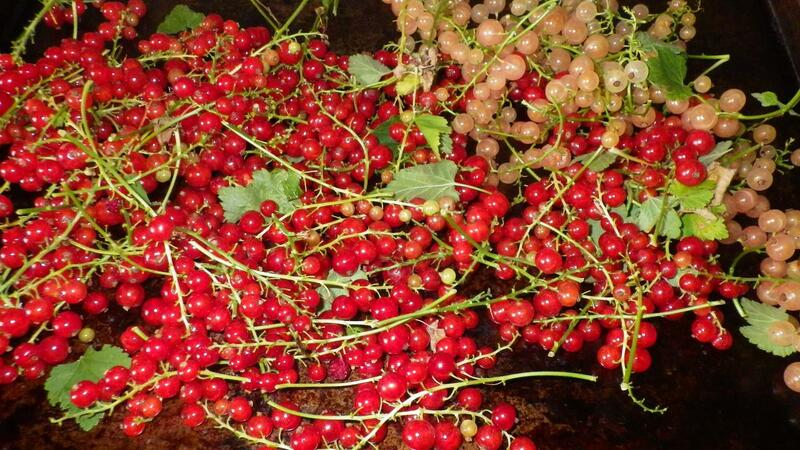 fortunately crandall clove currants , golden currants, gooseberries and red/ white currents are a different species not covered under that ban in the northern sections in Maine. crandalls are sweeter and taste different than black currants. they are good to eat fresh where as earlier varieties of black currant are best in jams. newer russian, dutch and bulgarian cultivars have much better quality fruit but are hard to get here in the states. 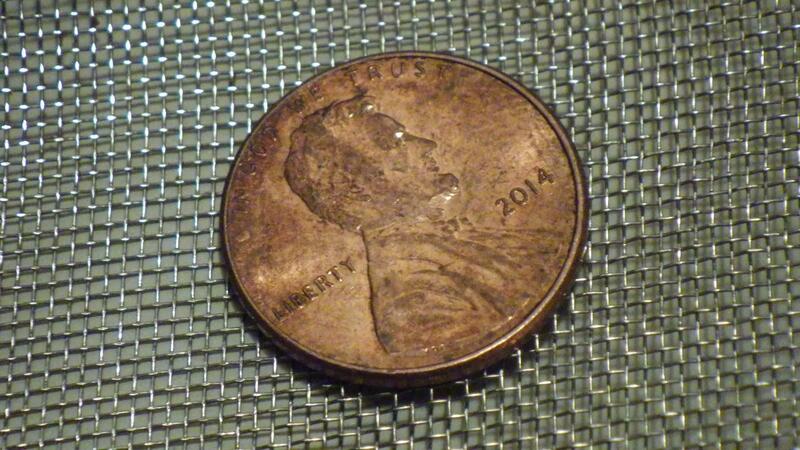 honeyberryUSA carries some of them. 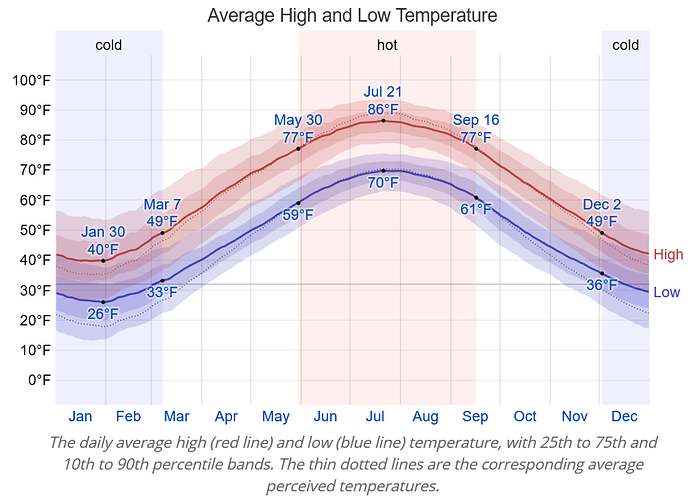 I agree with all you say Steve, here we get about 20 days above 85 a year. Not enough to bother them, although they do slow down in the late summer. Blacks vary a lot and I’m still testing them. Some hate them, but I like them for syrups myself. whats your recipe for syrup ? i should get much more berries this year as all of my currants will be bearing age. i can’t wait! been out of the jam for 4 months now and I’m going thru withdrawals! Drew, actually happily although Vancouver, WA is zone 8b, but our weather being like England with mostly rain and mild summer, we have had no problems with many currants which are productive here. I am sure some varieties will do better than others. As a teenager I put red currants of unknown variety from Fred Meyers in the ground which were on clearance 2 in a bag, and grew to 2 huge bushes in no time. Shortys nursery varies which varieties they get each year. There is quite a selection to choose from, but it really comes down to size of berry and its taste, health issues of plants as I read some black currants can transmit disease to reds, and eventual space needed for full grown plants. The likely White Imperial currant I had for about a decade died this early spring, but it was a manageable size of about 3 ft x 3 ft x 3ft. Good to know, as regions vary and here we see the limitations of zone ratings. Look for anything from the Netherlnds, they seem to specialize in this fruit. For reds Jonkheer Van Tets is said to be the best tasting and Rovada has huge berries extremely easy to harvest. They ripen at different times so extend the season. A good pair to get. Many other good ones and most of those are offspring of these two. I love currants and I have been looking into other species. I also love raspberries, and most rubus genera berries too. whats your recipe for syrup ? I use a variation of this one. I do 1000 gram batches and use 150 g sugar and 150 splenda or other substitute. The recipe calls for 360 grams of sugar, but found 300 g of any sweetener is fine. 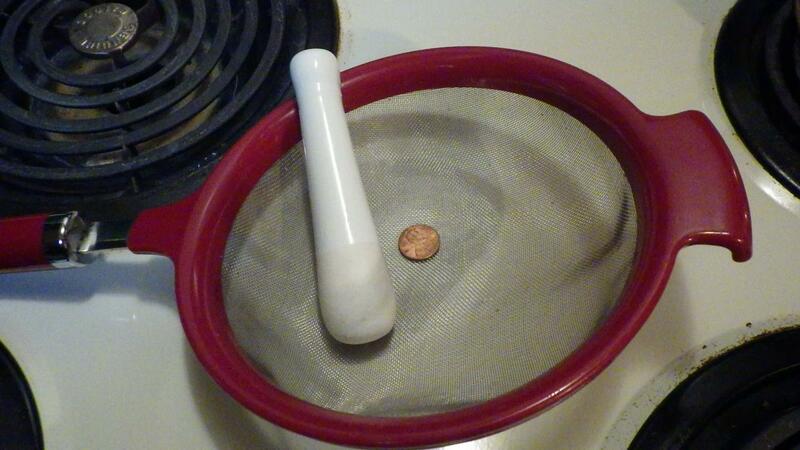 I use a very fine sieve to get the seeds and try to press as much pulp through as possible, but you lose a lot. I use a pestle to push it through. For blacks I do the same thing except sometimes add juice of 2 lemons and zest of 2 lemons. This one call for even more sugar! I stick with whatI use for the reds. You can always add more. When making nearly clear white currant jelly I stir in dried goji, just a few. It stays suspended and adds a colorful interest. I think gogi tastes better with the currant juices too! I guess I am zone pushing with currants because in my area I get highs above 85°F 2-3 months of the year. I kind of knew that when the Pink Champagne and Rovada didn’t exactly thrive last year. But I guess I didn’t learn my lesson because I already have Jonkheer Van Tets on order. Pink Champagne actually didn’t do too bad (and has a 4-5 strings of flowers this year) but Rovada barely made it. On the other hand, my Hinomaki Red gooseberry put on a lot of growth last year and didn’t really get too bothered by the heat. I also just added Poorman this year, and they are both planted in a semi-shaded area. @Drew51 Do you know of any heat tolerant currants? Overall cultural requirements are similar for all ribes species. They are adapted to cooler climates, but can be grown successfully in most areas of the commonwealth. Excessive summer heat may be a limiting factor in the hotter regions of Southside and southeast Virginia. At temperatures above 85°F, currant leaves will begin to flag (wilt) and extended direct sunlight can cause leaf sunburn. Temperatures of 95°F sustained for three or more days may cause most of the fruit to drop from the plant, especially if the fruit are nearly ripe. Partial shade, a soil mulch and adequate water are essential in drier, hotter areas. American gooseberries are more tol-erant of direct light, drought, and warm temperatures. thanks! going to try it this summer! the crandall clove and golden currant are native of the midwest and western U.S and are more heat and drought tolerant. i have mine in a dry gravelly area with 3in of mulch and they are growing well. the crandall has a sweet almost grape like taste. good sized berry. my goldens will fruit this summer for the 1st time. might want to try these. bet you would have better luck with them. i believe burnt ridge nursery carries both. there are also currants and gooseberries native to s. CA that would work for you… maybe Richard might know a nursery that carries them in his neck of the woods. I am growing Jostaberries, Cherry Red Currants, Pixwell Gooseberries, and Black Velvet Gooseberries. I created a bed for them in a corner of my lot where they get some morning sun, a bit of filtered midday sun, and afternoon shade. They have for the most part grown pretty well, but the Jostaberry at the sunny end of the row never thrived and eventually died. I replaced it with one of the Black Velvet Gooseberries, but that one isn’t thriving either. Golden currant, hard to find a species plant, but the Crandall cultivar should work. There are 3 or so sub species of golden currant. I have Crandall, and I got a golden currant from Colorado. The golden was just put in last year. I had 3 of them and they all took, survived winter and are growing now. Yep. The PNW rains. I had mine in nearly full sun, and only rarely did leaves scorch here. Same when I was a teen and planted red currants. Lots of time dappled shade or plenty of water gets plants through anything. We are considered a rainforrest. Near Olympia a fig tree was found that was named the Olympian, it resists splitting from rain and is really good. I love it! It is thought to be an English Brown Turkey which are not anything like a regular Brown Turkey. A very good fig for sure. When I think of the PNW I think of that fig. It’s basically true. My summer has a lot of 90+ days in Richmond, VA, and the colored currants I try struggle very badly between the heat and the mildew. Especially the mildew. Blacks & gooseberries do a little better, and I get at least some fruit from some of my gooseberries. The ones that produced so far were Hinonmaki Red and I think Leepared. I’m hoping that keeping the middle row brambles off the ground and in the air will provide enough shade, but the general heat pretty much stops growth and that mildew just strips leaves and laughs at anything I try to spray. For my taste buds I can only eat a few currants here and there out of hand. I’ve found they add a nice sprightly punch to salads though. Mostly I use them for making jelly. The only red currant I only grow is Rovada. The bushes are around 3-4 ft tall and the berries are of large size and easy to pick. My plants are moderately productive, but they are not in the best location so that might lessen their production. For white currants, I have Primus and white imperial. I prefer the Primus since the bushes are slightly larger and much more productive. For gooseberries, Invicta are the largest and most productive bushes I have. The berries are of ok flavor but I thought they were a little mealy. Invicta seems to have less thorns but they are larger than my other gooseberries. My hinnomaki red bushes are smaller and less productive but the berries are of good quality tartish skin but sweet flesh. My favorite for fresh eating is Black Velvet. I only got a few berries last year but they were sweet and good flavor. Hopefully I’ll get to try poorman and jahn’s prairie this year. If you have a lot of currant bushes I would recommend getting a swedish berry picker. It makes harvesting them so much easier.